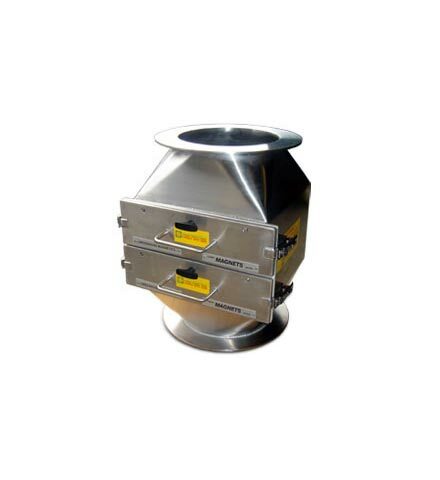 The Greenwood Double Door Filter Box is an inline magnetic separator used within vertical gravity feed chutes for the extraction of ferrous metals from materials being processed. The product is diverted by the wide central angle deflector onto the magnetic side doors. 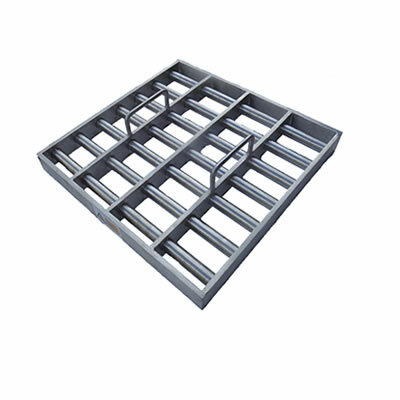 Hence the clean product flows through the box and any ferrous contamination is held by the powerful magnetic doors. These quick release doors also provide easy access for cleaning. 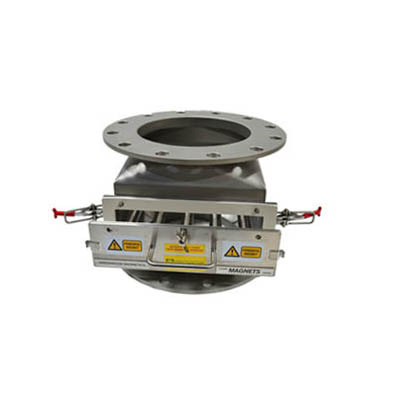 As a solely contained unit, it is very adaptable, and is ideal for products which do not flow particularly easily and may have a tendency to bridge. 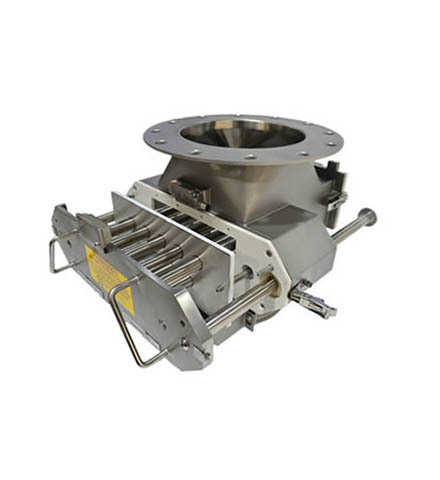 The stainless steel housing is flanged for fitting into process chute work. 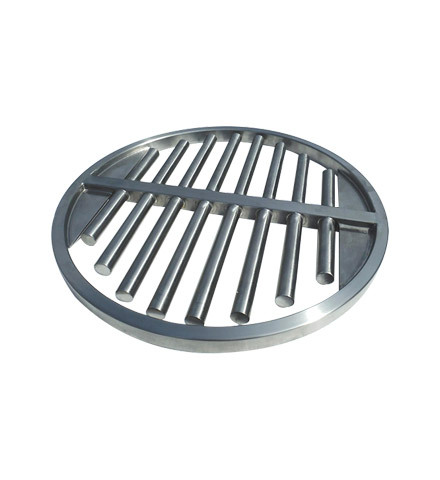 Square to round transitions can be made to suit round pipes. Manufactured for a world leader in rice production for a product that had a tendency to agglomerate with potential bridging issues. 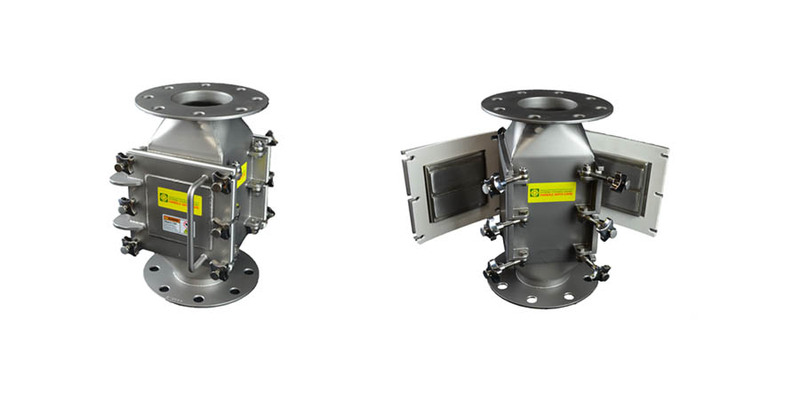 Compact Double Door Filter Box for horizontal bran feed for a leading bread manufacturer, with flanges to suit round pipes.